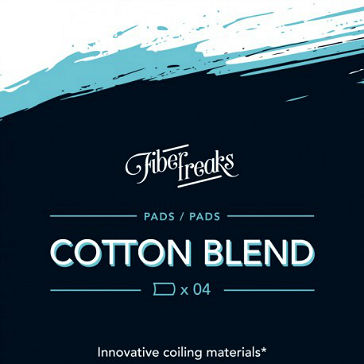 Fiber Freaks Cotton Blend is a new type of wick that combines reclaimed wood pulp (cellulose) and 100% American-grown organic Pima cotton. Pima cotton is a superior blend of cotton that is extremely durable and absorbent. 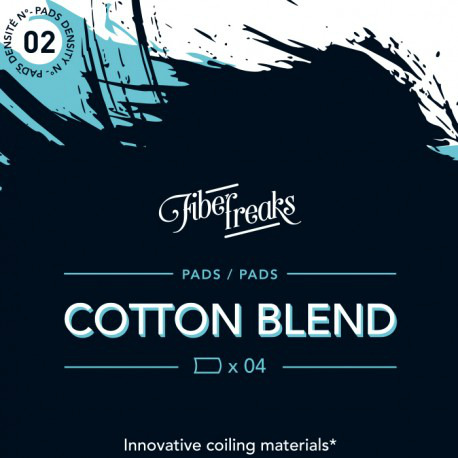 The Cotton Blend line combines the neutral and stable aspect of cellulose with the depth of flavor transmission typical of cotton. The cotton in these wicks has been professionally treated to remove wax, fats and unwanted proteins that can negatively affect the vape. The cellulose is made from an organic solvent and synthesized under sterile conditions. These wicks are NOT whitened and contain no bleach. As the original wickpads, these new wicks also come in two densities, for different wicking needs. Density 1 is more airy and can be torn by hand, the thicker Density 2 wicks have to be cut with scissors. 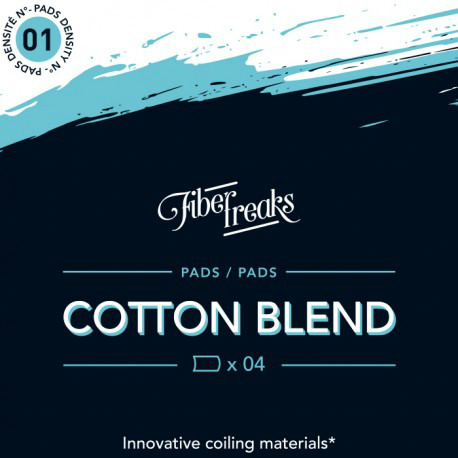 Cotton Blend No: 1 is not recommended for setups that need to vaporize massive amounts of liquid in a short time (if you have such a requirement, please purchase Cotton Blend No: 2 with its denser fibers that hold more liquid per unit of wick area). You just rip off some fiber with your fingers and roll it into a useable wick. Top purity, top quality - No: 1 is ideal for medium-to-high output setups, No: 2 for working with rebuildables.